If you travel Rt. 3 in Maryland, you may be familiar with Ms. Devon's house on the side of the road. A house of magic, mystery, and fortune telling. I would see this house on a daily basis and always tried to look closely when driving past to see if I could catch any of the magic and mystery seeping out of the roof or through the windows. A girlfriend and I went to the house searching for psychic answers. It was Fall and the air was crisp. It felt like an adventure just being on the property and we walked up the painted creaky wooden steps to the screened in front porch of the home. 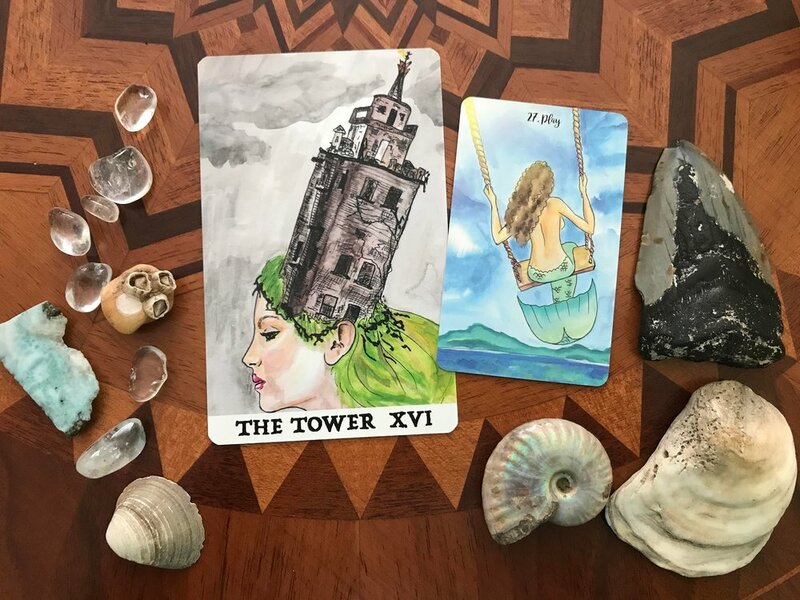 Here are your Summer 2017 Tarotscopes for June 21st to September 21st 2017! Read about the vibes that will be surrounding you all summer long! 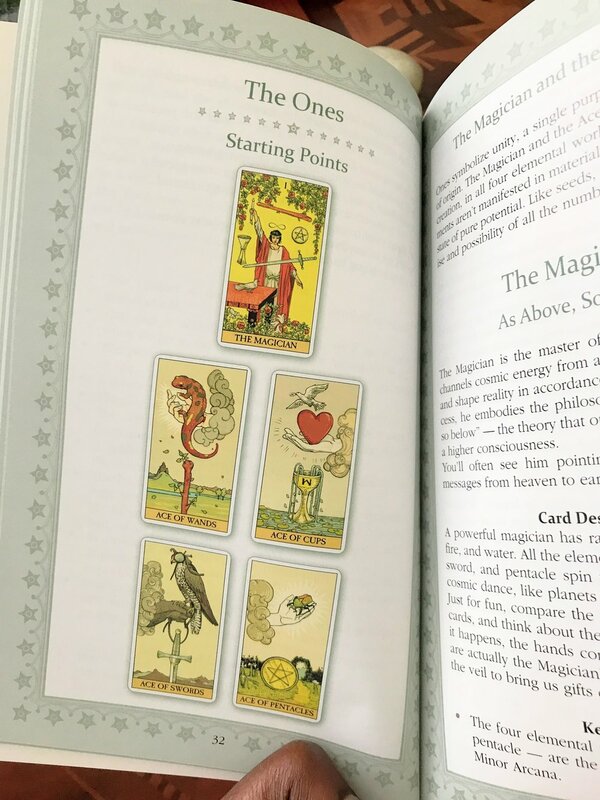 Be sure to read the Tarotscope for your Sun, Moon, & Rising signs to get a more complete picture as to what you can expect this season whether you are in the Northern or Southern Hemisphere. 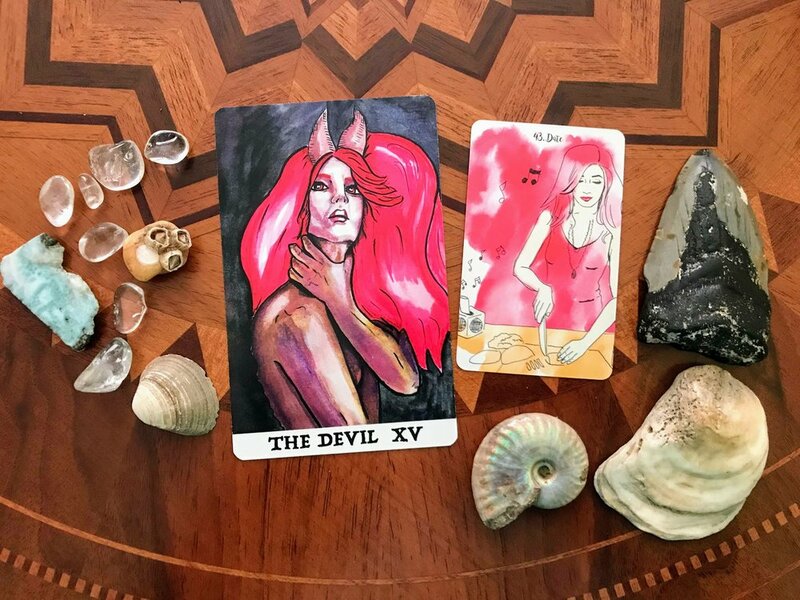 As a special bonus this season, I have included an extra oracle card to determine what sector of your life these energies may affect you in. 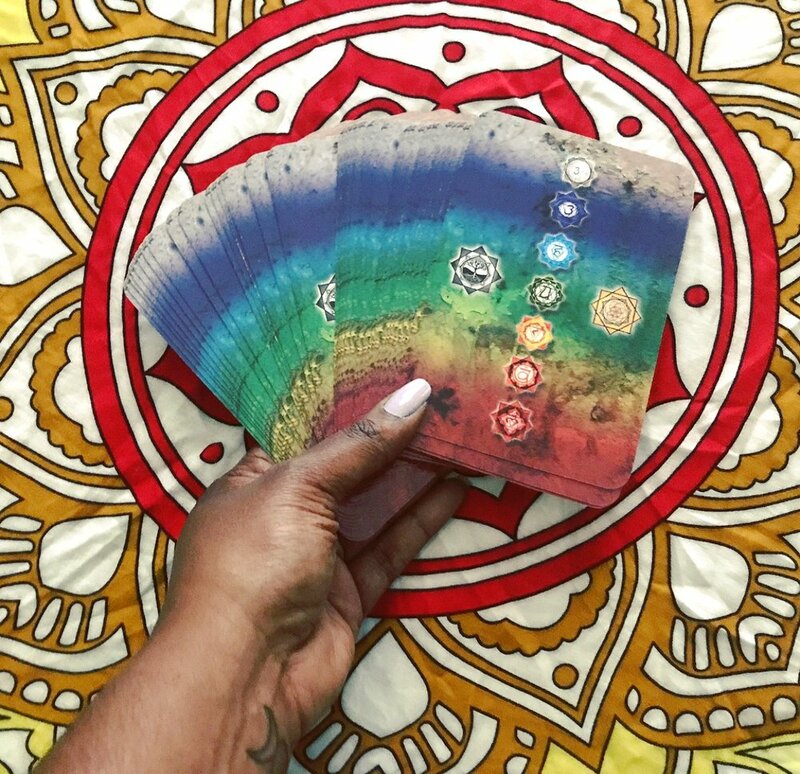 The deck I used for these readings is the Cosmos Tarot + Oracle by Light Grey Art Lab (2015). 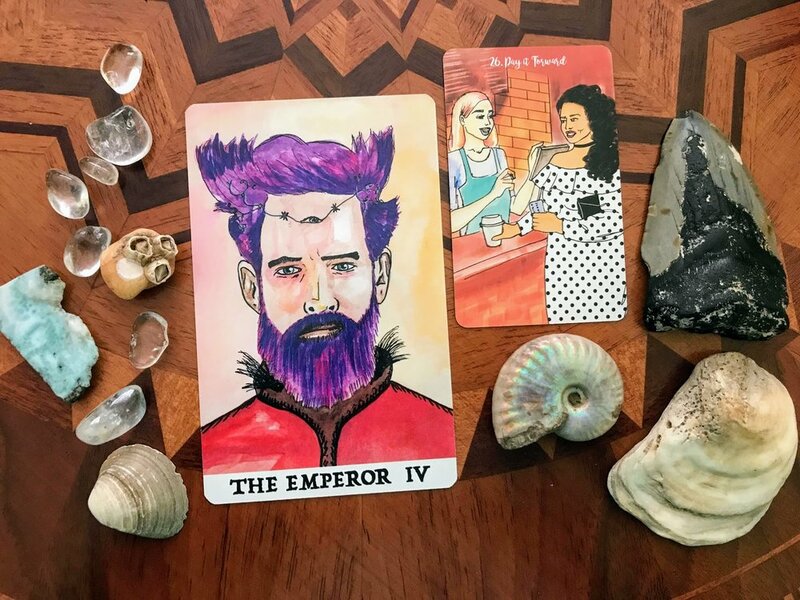 If you'd like to book a reading with me in regards to a particular situation, you can do so here. Have a lovely summer beautiful souls! The energy of Mars will be charging us up with vitality, drive, action, and maybe even some aggression this season. This is the fuel that will propel us forward into a season of wins, triumphs after sacrifices, and fresh starts! Stay vigilant and keep watch as you forge a new path for yourself. Carve out the sunshine this summer Aries - a rebirth awaits! Strike while the iron is hot. Get ready and be prepared to make a move at a moments notice! Your watchful eye will help you to know when the timing is right. Your path will unfold as it is illuminated from within. It is carefully being created and lined with gold. Visualize it! Pay attention to the details and the Divine guidance you are receiving. You may be procrastinating to some effect this summer Taurus. Don't let it turn into stagnation! Have you put yourself in a trap of your own devising? Stop making excuses and follow through on your plans. Stop waiting for a sign. Follow your heart. Don't start tomorrow - start today! Seize the opportunity. Why the delay? Sometimes 'tis better to move forward on your own, than to have the Universe push you into a situation where you have no choice BUT to move. Be mindful where you gamble this season Gemini as times are a changing. Are you putting all of your eggs in once basket? Be mindful that you are not deferring responsibilities to someone else this summer. Delegating is one thing however, are the hands you are trusting with your duties coming from the highest integrity? 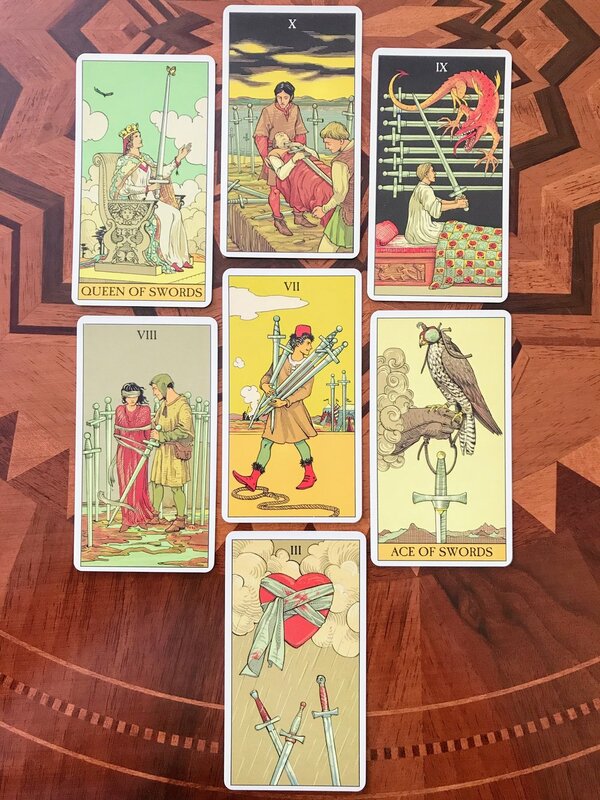 Keep an eye on your assets and make adjustments when needed, especially in matters where more discipline and foresight is required. Use your intuition and foresight this summer to bring more balance and harmony into your world this summer Cancer. There may even be new insights for you regarding this in your dreams. This will help you to begin the huge move forward you've been waiting on! Acknowledge and be aware of the duality in all things. 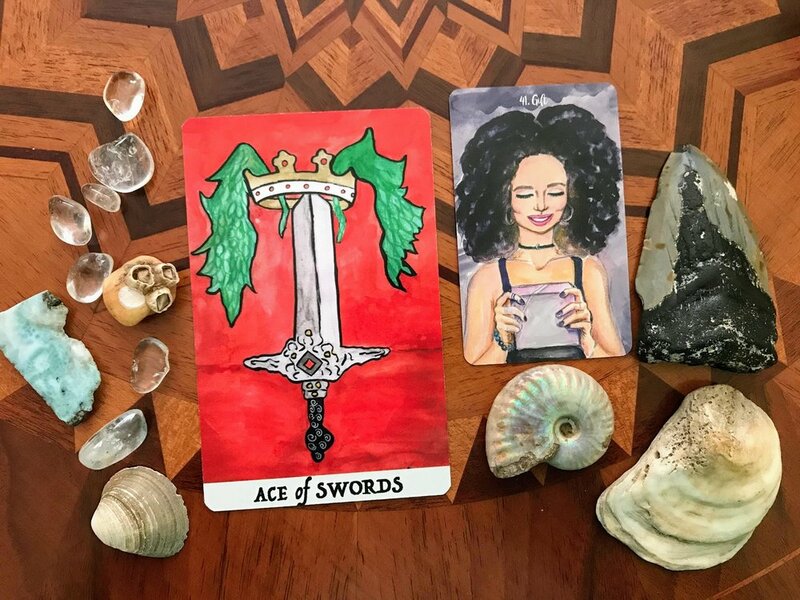 The light and dark aspects of different situations may warrant more development of your intuitive insights this season. Try to have an open mind and a willingness to look at all sides of the equation. Where does your intuition tell you that something is out of alignment? Have faith and patience this season Leo. There may be some shocking surprise in store for you this summer. Be flexible and go where the wind takes you - even if it may feel like you've been blown off course for a while. Keep your emotions in check. Emotional outbursts may only make the situation more explosive than it needs to be. Learn to ride the stormy seas and know that the skies will part and the sun will shine once again. Listen to the guidance and wisdom of your Higher Self as well as the cosmos. Some secrets may be bubbling up to be revealed for you this summer Virgo. Light will definitely be shed on the situations that have had you questioning lately. Justice is on it's way to you. Is there a secret you have been harboring that is keeping you feeling bound? Perhaps one that was once a truth for you that is no longer so? Break the cycles and patterns this season! You will have more energy around you to help you begin this work. Might I even suggest some moon phase shadow work? This may be a bit of a stressful time for you this summer Libra. Stuck between a rock and a hard place is only the tip of the iceberg. You may be putting on a mask everyday just to try to make it through and save face however, there is so much more underneath the surface. Make sure to get plenty of rest and alone time to avoid burnout and additional undue stress. Guided meditations and affirmations are your friend this season Libra! 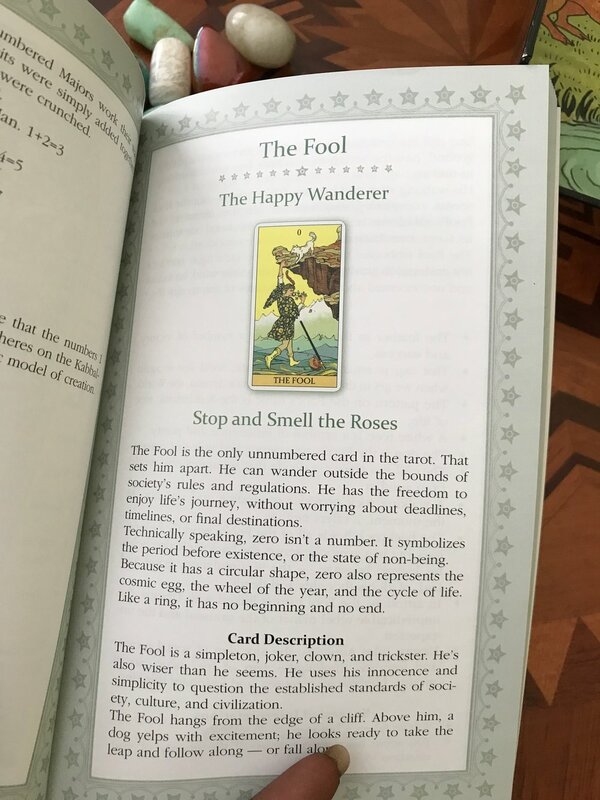 There may also be a benefactor or some synchronistic encounter with someone who can help you to find the missing piece of this equation and recover some solace. Get your emotions in check and see the bigger picture this season Scorpio! Take a bird's eye view. See the forest for the trees. This could be in regards to a passionate or sexual relationship this summer. Are you truly listening to all of the information that is available to you or are you only hearing one side of the equation - the side you want to hear? Take off the rose colored glasses! 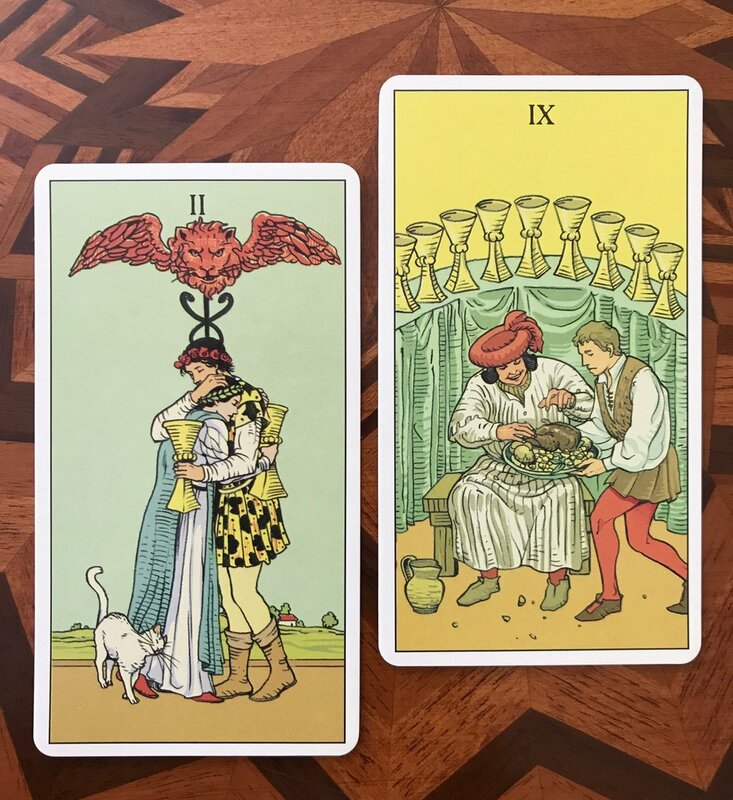 If you want to indulge in your passions or explore your sexuality, wonderful, that's fine and dandy - just remember to take a step back from the emotions and fantasy to view the whole situation for what it is. You are becoming an even greater leader in your community this summer Sagittarius. Luck is on your side! You may be acknowledged for your work, inclusiveness, and diversity. You could also be volunteering a lot of your time and effort to bettering and engaging with the community this season as well. This summer is about you truly stepping into your own Sagittarius, especially as the last Full Moon of Spring 2016 was in your sign. Gear up! That power will push you forward and help you to expand all summer long! You may have some strain in your love life and relationships this summer Capricorn. Although this energy may be surrounding you, be aware of your strength. 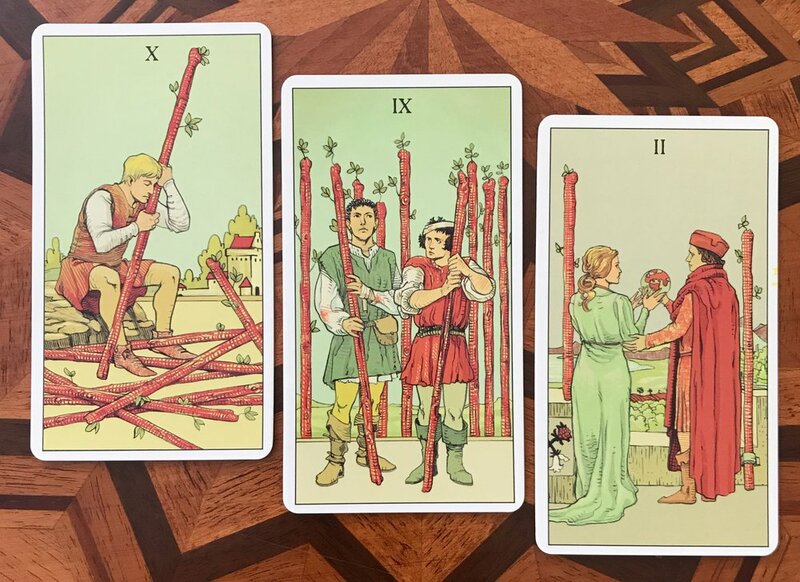 It may not be the most pleasant experience however, you have gained valuable tools to keep you from crumbling and completely falling apart. Stand in your power. Solar Plexus and Heart Chakra work may be beneficial to you this season. Where can you still find love and beauty? There may even be someone new waiting to enter the picture to help you through this situation. 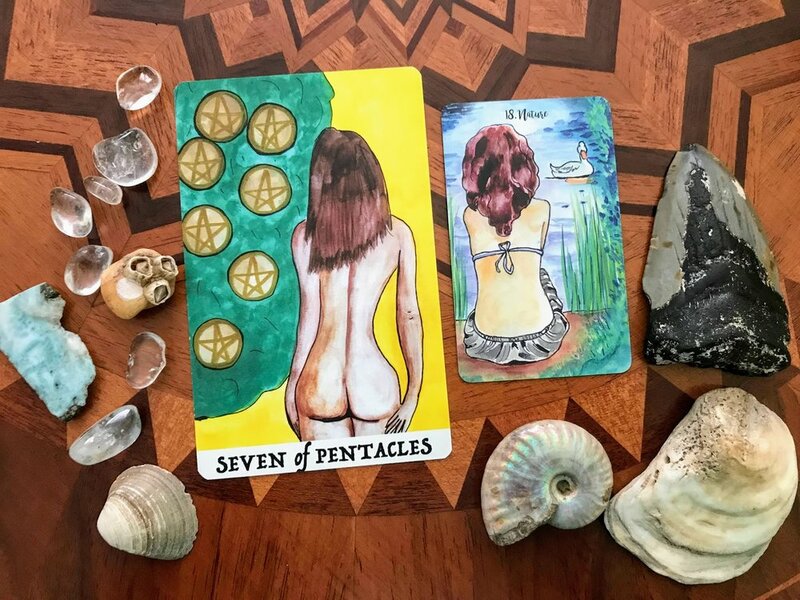 I also feel like this may be a call for you to work ever more closely with the Divine Feminine within you and the Universal Love of the cosmos. 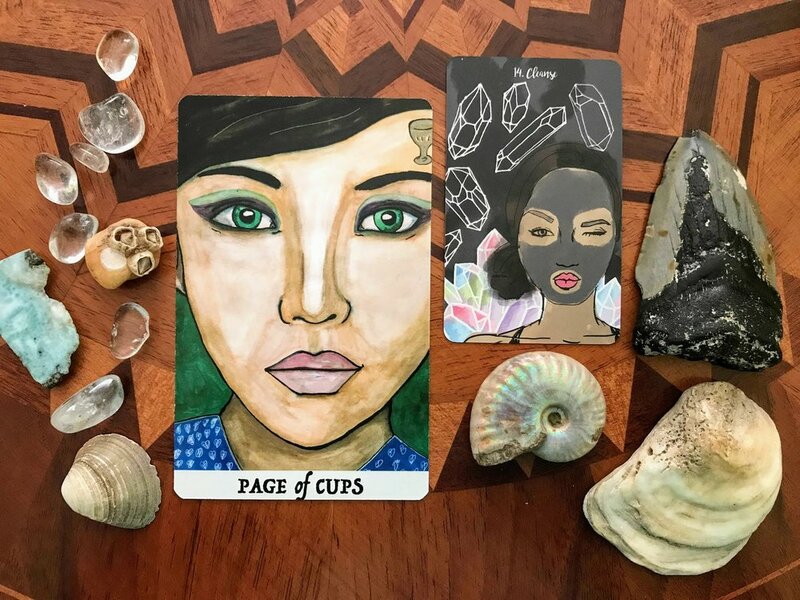 Ceremony, ritual, and study are the name of the game for you this season Aquarius. Put on your witchy hats, lab coats, and wacky scientific curiosity! Breaking down your processes, keeping detailed notes, exploring new theories and testing them will be an essential part of your summer. It is truly about discovering what it is exactly you believe and why. Spend your time reading and experimenting and find what works for you. You may even be surprised to discover that what once used to work for you and resonated so deeply no longer does. What is it NOW that makes you tick? You may meet a powerful ally in regards to your business this season Pisces! A new benefactor, investor, or someone with more stake in the game could be coming to your aid and amping up your reach as well as your potential. There may even be a business deal or an opportunity to work together on the table! This could be in regards to the areas of networking, interviews, public speaking, social media, the internet, and sales. Keep your wits about you. Do your research and don't be afraid to ask questions and take the help if you feel it is for your best and highest good. Here's to a Summer full of Sunshine! 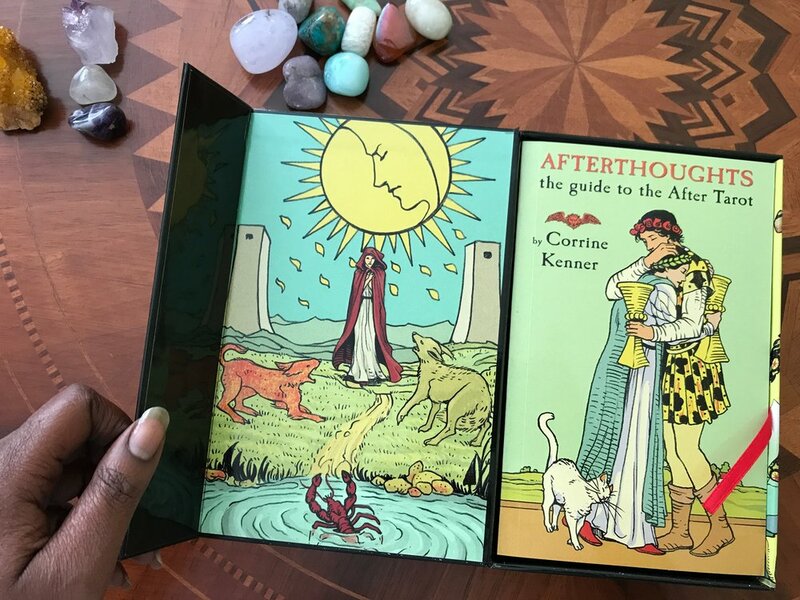 BOOK A READING WITH ME THIS SUMMER!